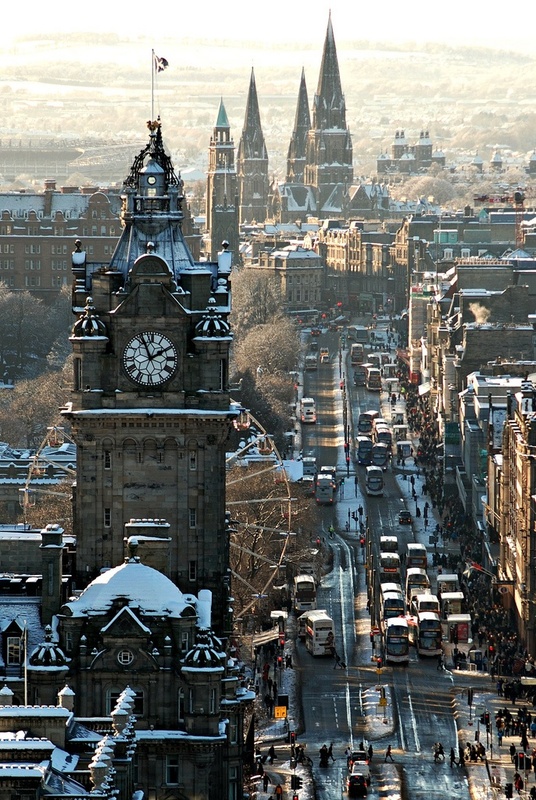 Princes Street is one of the major thoroughfares in central Edinburgh, Scotland, and its main shopping street. It is the southernmost street of Edinburgh's New Town, stretching around 1 mile (1.6 km) from Lothian Road in the west to Leith Street in the east. The street is mostly closed to private cars, with public transport given priority. The street has virtually no buildings on the south side, allowing panoramic views of the Old Town, Edinburgh Castle, and the valley between. Only the east end of the street is open to all traffic. The bulk of the street is limited to buses and taxis only. During 2009 and again in 2012, parts of the street have been closed to all traffic as part of the Edinburgh Trams construction works.